MYSTERY GUIDED TOUR IN VERONA: KILLING CANGRANDE Led by a local registered tourist guide, become real detectives and, walking through the historical centre, let the city of Verona – with the help of monuments, legends, riddles, games and clues – reveal this long buried truth.Are you ready to investigate a 700 year old murder? Live a brand new experience! Explore the misteries of the History! Visit in a new and different way one of most fascinating cities of all the world! Play using your curiosity and all your skills! With Play the City – The Tour, the traditional guided tour turns into an engaging experience that makes visitors protagonists. The participants are involved in a story, a novel in which puzzles and games alternate to news about what they are visiting. Conducted in their discoveries by a tour guide, visitors-players get new clues and informations that will lead them to the solution of the mystery proposed. The tour is for groups up to 35 people, divided into teams of 5-6 members. The experience lasts approximately 2 hours and 30 minutes and it is carried by a tourist guide, starting from 2nd May up to 31st October 2015. Price 30€ per person, including an italian "aperitivo" during the visit. 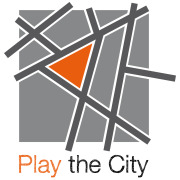 Play the City is a registered trademark that exits since 2013. Its focus is the gamification and the storytelling in tourism. we want to exite, to tell stories, to stimulate, to surprise and play. The world that we show you today is not the one you were used to see!